Illustration - the evening sun. 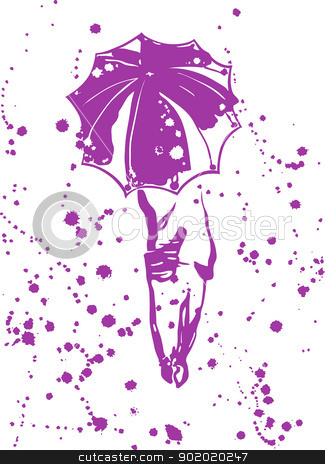 The image of a silhouette of the girl with an umbrella and fine drops of rain. vector illustration.